Poor Gary Ross. As a writer and director, he’s never made a bad movie. But he’s also failed to make a big impression on movie audiences through his films. Filmmakers like Steven Spielberg, George Lucas, and James Cameron, for all their faults, are household names because they made some films that struck a chord with audiences and made them unforgettable. Gary Ross has a reputation for doing good films, but it doesn’t look like he’ll ever do anything more or less than that. He started out strong, co-writing the 1988 classic, Big. 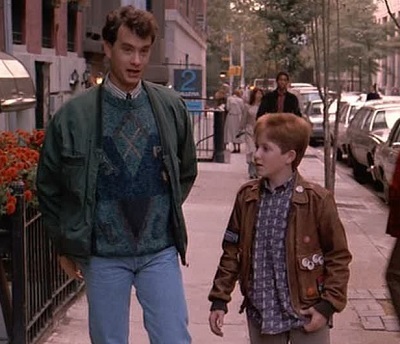 The trouble with that film is that most of the credit for its greatness goes to Tom Hanks’ brilliant performance. The story isn’t all that interesting when you get right down to it: A kid wakes up in an adult body and learns what it means to be an adult. It’s just another fish-out-water premise in the same vein as Freaky Friday and Vice Versa. But it’s the way that Hanks reacts to everything around him that sells the audience on the premise and makes us want him to succeed. After that breakout hit, Ross was fairly busy in the early ‘90s. He co-wrote films like the underrated Mr. Baseball and the decent Lassie, and he took sole writing credit for one of director Ivan Reitman’s last enjoyable films, Dave. Dave is basically a retelling of Frank Capra’s Mr. Smith Goes to Washington. I already wrote an article comparing the two films. Everything Dave does, Mr. Smith Goes to Washington had already done to perfection two generations earlier. Ross adds some clever twists here and there, like making the titular character the president instead of a senator, and throwing in a romance with an embittered First Lady rather than a jaded assistant. But there’s no question which is the better film when you compare the two. He then transitioned to the role of writer/director with the 1998 film Pleasantville. Pleasantville has a lot of interesting ideas, but they never coalesce into a satisfying movie. It’s sort of the opposite of The Truman Show, which also came out that year and was packed with brilliant ideas and an equally excellent execution. 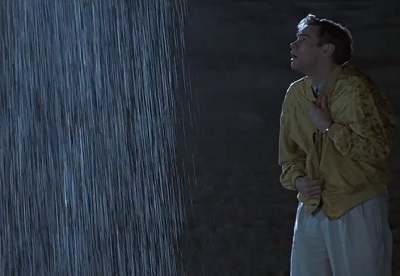 Both films are about worlds that are too good to be true, but while The Truman Show sets about showing how a normal person would act in such a bizarre set of circumstances, Pleasantville feels preachy, demonstrating that modern mentalities are inherently superior to those of past generations. Pleasantville’s message seems to be that going against the grain and throwing off old ideas of morality form the path to maturity. However, at the start of the film it shows where those roads lead with drug use, divorce, dysfunctional families, and other societal decay. Ultimately, Ross undermines his own message in this film. He seems to be confused about what he’s trying to get across in his debut film as a director. 2003’s Seabiscuit is the closest Ross has come to greatness. It was nominated for Best Picture at the Academy Awards, and it got a lot of attention and good reviews. But then it sort of disappeared. 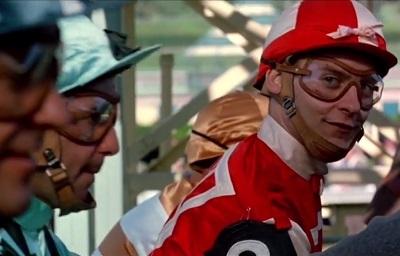 I don’t hear many people talking about Tobey Maguire’s daring portrayal of an anorexic jockey or Jeff Bridges’ impossibly upbeat attitude in the face of any adversity. Seabiscuit should be among the classic underdog stories, but it got lost in the shuffle between Remember the Titans, The Rookie, Miracle, Invincible, Coach Carter, and a slew of other well-made underdog stories of the time. From that perspective, it looks more like a fad movie than a classic drama. And then there’s The Hunger Games. Ross did an okay job turning that book into a film. But it lacked something special to make it more than just a decent action adventure. The book is nail-bitingly intense and it explores what a pivotal moment this is in the life of the main character, Katniss Everdeen. The movie doesn’t capture those feelings as well as the book did. 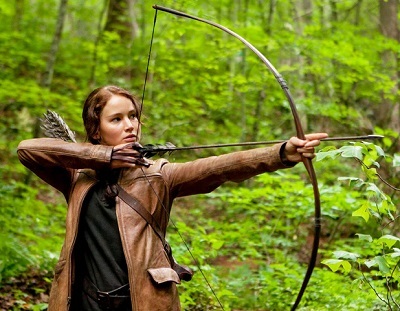 It’s content to go through the motions and attempt to cram as much of the book into the film version as possible, but it doesn’t take time to explore the ideas it brings up, like Katniss’ relationship with her family, the superficiality of televised romances, and the shocking brutality of the games. But then a year later a different director and group of writers come in and replaced Ross and his team. And they wound up making a sequel that outdoes the original in just about every way. I thought the book Catching Fire was pretty good, but not quite as good as the first one. But there’s no question that the second film outdoes the first Hunger Games in every arena. The first two Hunger Games films pretty much sum up Ross’ career. He does a good job, but in the hands of more creative people those same films can become superb. My point isn’t that Gary Ross is a bad filmmaker or that he is a failure. In fact, he’s probably better than a lot of filmmakers in Hollywood. He consistently has interesting ideas and you can never fault him for being dull or repetitive. My point is that he seems a little out of place in today’s movie industry. He likes to take his time, and that doesn’t cut it when Hollywood studios are constantly trying to push out sequels to popular films as quick as they can. He’s got talent, to be sure. But while a masterful filmmaker like Rob Reiner could thrive in practically any genre with classic films like The Princess Bride, Misery, A Few Good Men, and When Harry Met Sally, Ross just doesn’t stand out in any of the genres he takes on. There’s nothing wrong with that. It just seems like he’ll never do anything better than what he’s already done. This entry was posted in Random Stuff and tagged directors, films, gary ross, movie review, movies, movies based on books, sequels. Bookmark the permalink. 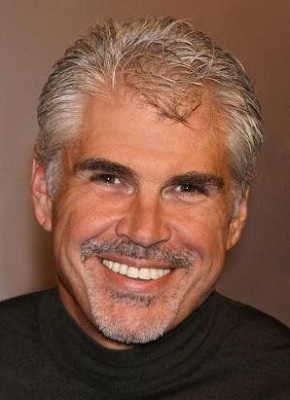 This is an excellent analysis of Gary Ross and his career: Good, never great. He has been extremely fortunate to have had the successes he did with “Seabiscuit” and “Hunger Games,” but that was because he was working with superlative (and best-selling) source material: Material which far out-shined his bland/generic adaptations. Thank you. That’s so true. He’s a competent director, but I just don’t see him ever standing out from the crowd. The Catching Fire movie was better than The Hunger Games? how? The hunger games film got better performances from the actors, the emotion was portrayed better and the whole film had this sense of wonder. Catching fire wasn’t bad but it got worse performances out of the actors, the drama and emotions were not that good and some of it even corny and the whole movie felt rushed and again, lacked emotion. Gay Ross is a three-time Oscar nominee and for good reason.